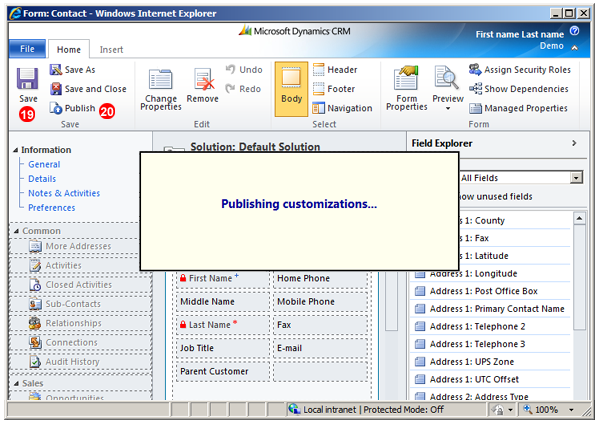 In this tutorial we will show how to enable Click to Call functionality in Microsoft Dynamics 2011 CRM software. 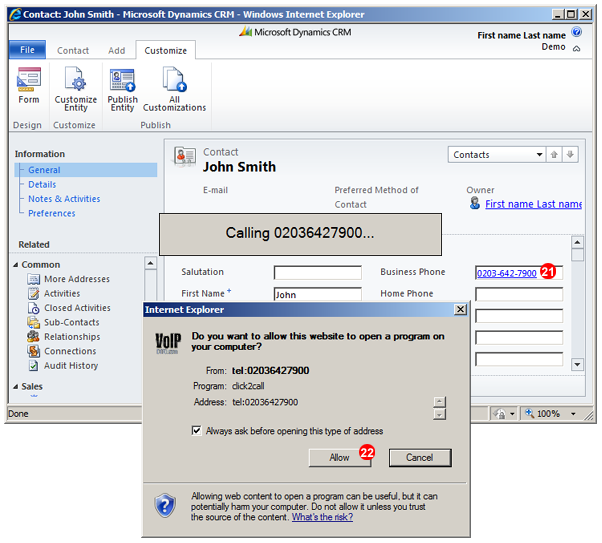 Click to call is achieved thanks to VoIPstudio’s click2call tel: URL handler and Dynamics CRM form customization which allows to double click on telephone number to place a call via VoIPstudio IP PBX extension. 13. 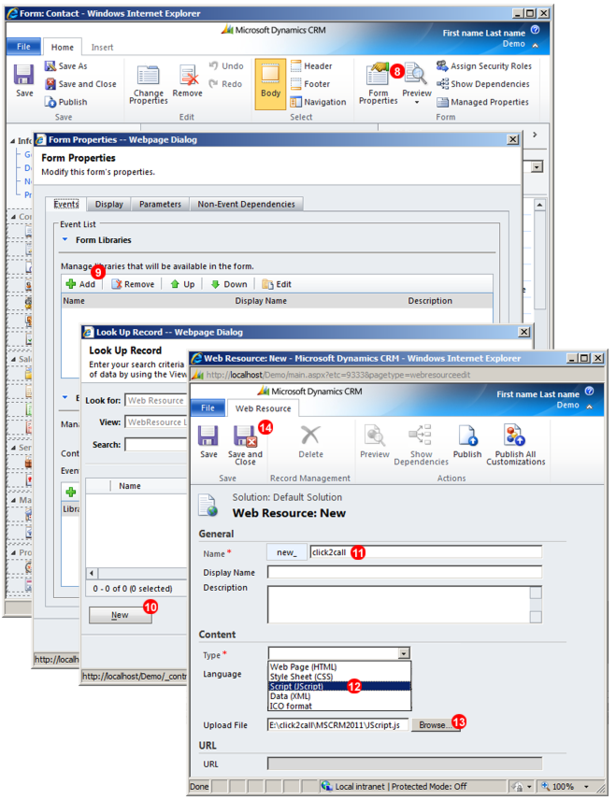 Download web resource file, decompress it and upload into Web Resource form. 22. 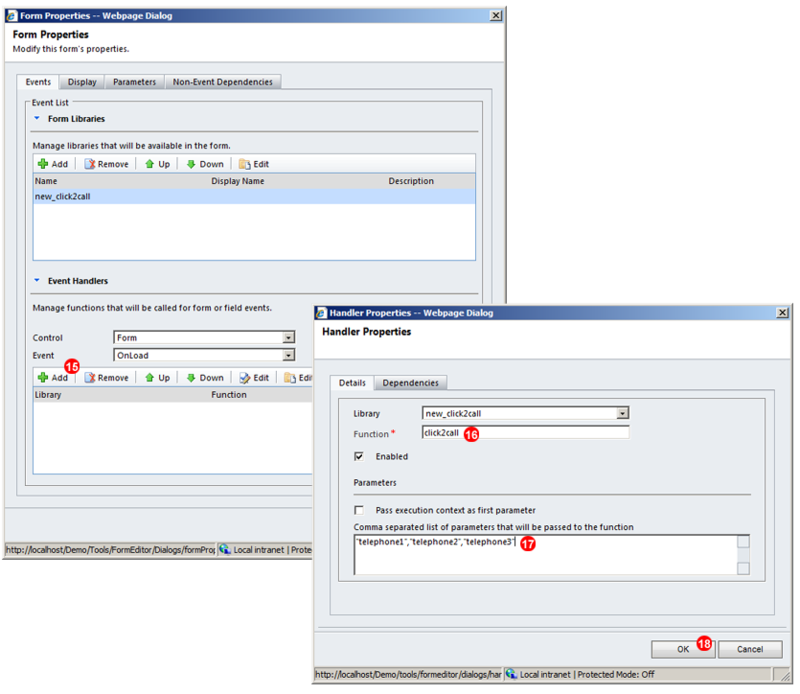 Click Allow in external application confirmation dialog (you will only need to do this once). Your VoIPstudio phone will start ringing. 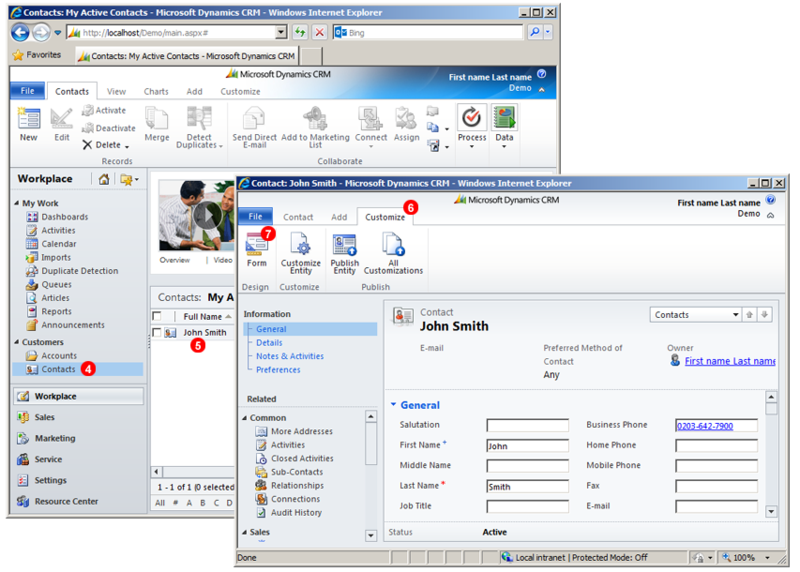 Once you pickup it will connect to a number from your Microsoft Dynamics CRM contact form.